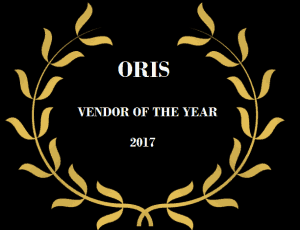 ORIS has scooped the coveted Vendor of the Year award at the 2017 Retail Risk Awards, which took place at the King Power Stadium, Leicester, England, on October 5. The organization, which manages both the not-for-profit ORIS Forums and ORIS Media, the publishers of LP Magazine Europe, Wicklander-Zulawski Europe and the Loss Prevention Foundation qualifications in the UK, secured the award against strong competition. The theme of its entry was “greater connectivity” in today’s digital world because for the last 11 years, ORIS has been connecting LP and risk professionals operating in both the physical and online channels in the fight against fraud in both the bricks and clicks space of retail. The judges recognized that going above and beyond, ORIS’s small team punches well above its weight in terms of proactively looking for ways of delivering value to its customers and the industry as a whole. ORIS began life facilitating Loss Prevention Forums in 2006 but has since grown enormously because of its unparalleled ability to bring people together in pursuit of reducing losses, whether it be through the sharing of best practice and intelligence or the education and continuous professional development of LP practitioners. Speaking after the ceremony, ORIS Managing Director Louise Kadege said: “This is a real honor for ORIS and recognition of the efforts of our small team. It is not an understatement to say that the retailers and the police were previously estranged from each other, but since the inception of ORIS, there is now a mutual respect and pragmatic working relationship between Forum members and the 43 forces, not to mention the creation of a greater understanding of issues faced with the numerous Police and Crime Commissioners, Business Crime Partnerships, town center management bodies and BIDS, all of whom have had dealings with ORIS in a spirit of mutual respect.